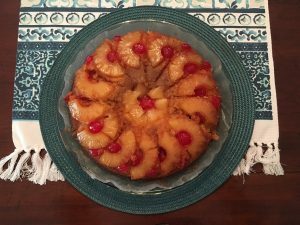 Pineapple Upside Down Cake Recipe | Kay Rice, M.Ed. I haven’t made one of these in a while! I find it rather ironic that while I am preparing for a 30 – Day Extreme Self-Care Program (including a Healthy Eating Plan) that I’m making this recipe, which I always reserve for holidays or special occasions! This is one of my family’s favorites! 1/2 Recipe of 1-2-3-4 Basic Yellow Cake (which you will find below), substituting pineapple juice from the canned pineapple for the milk. Melt butter in a 12″ cast iron skillet. Spread brown sugar over butter and arrange slices of pineapple, cherries and pecans over it. 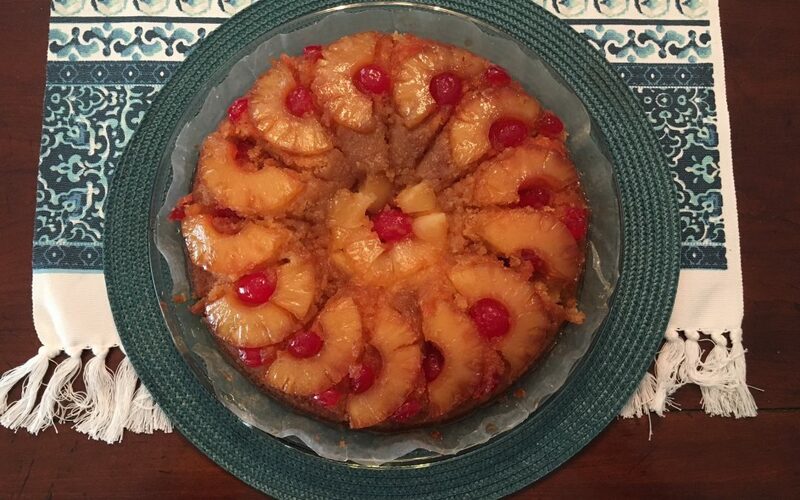 Arrange one whole pineapple slice in the center, then arrange pineapple half slices around it with maraschino cherries in the center of each of the halves and in the center of the pineapple circle. Add pecan halves around the edges, one between each half slice of pineapple (optional). Pour the 1-2-3-4 Basic Yellow Cake batter over the pineapple slices in the skillet. Bake for 40-45 minutes or until a wooden pick inserted into the center of the cake comes out clean. When you remove the cake from the oven, turn it out upside down over a cake plate lined with parchment paper. 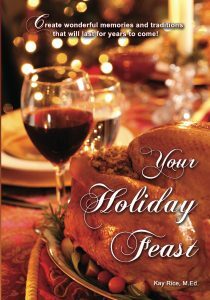 This recipe has been in my family for more than four generations, originating with my great-great grandmother Mary Eunice Lilly Davis. Originally it was cooked in a wood burning stove! Preheat oven to 350°. Grease and flour 3—8 inch cake pans and line the bottom of the pans with parchment paper. Cream butter, sugar and vanilla together, add eggs one at a time beating together after each addition. Sift together flour, baking powder and salt. Add flour mixture alternately with milk (or pineapple juice if you are making half a batch of this recipe for Pineapple Upside Down Cake). Bake cake layers for approximately 30 minutes or until a wooden pick inserted in the center comes out clean.